Emergency Preparedness Activities in Cape Meares. Working with DOGAMI and other local agencies, residents in Cape Meares were instrumental in forming the tsunami evacuation map for the community. Five temporary evacuation assembly points above the inundation zone were identified. Tillamook County Road Department has installed signs at the assembly points and signs showing evacuation routes to the five assembly points. To deal with periodic weather-related road closures and power outages, Cape Meares Community Association has provided a transfer switch in the Cape Meares Community Center to power the building with generators. The building is equipped to serve as a warming center in case of long-term power outages and road closures. Many of our residents own generators and can be counted on to help those in need. Resident medical personnel include one M.D., two EMTs, one veterinarian and four RN level nurses. The community has organized a two-day Wilderness Medical Training course. CMCA has sponsored CPR and First Aid training for all community members and many have been trained. Seven Cape Meares residents are CERT trained. Eleven members of the community are trained Red Cross Volunteers. On our Nextdoor website, over 200 people have signed up and get regular updates, etc. from neighbors. Cape Meares has an active and involved membership of non-resident property owners who pay attention to their information network, who vote, who contribute voluntarily to expenses, and who may come here only once or twice a year. These part-time residents are considered part of an extended support network and if they are absent during the Cascadia Event, they will be called upon for outside support, and they will count on the community to use their property with good stewardship, and look out for what may remain of their assets. Our Map Your Neighborhood (MYN) keeps residents aware of others in their immediate vicinity so they know if their neighbors might need help, and what emergency resources the neighbors have (generators, etc.). The work done to date to provide emergency Mass Care Services to the Cape Meares community is considered Phase 1 of this project. We have collaborated with DOGAMI and Tillamook County Emergency Management and have established five assembly sites with the strategy of placing a secure storage building at four of the locations. We have finished Phase 2 of the project with the completion of our first storage building. An active Map Your Neighborhood program has been in place for four years and includes annual updates. New community members are oriented to the program. Community residents participate in county-wide preparedness efforts including the Tillamook County Citizens Corps Council and the Tillamook Emergency Amateur Radio Service. Residents work closely with the Emergency Volunteer Corp. of Nehalem Bay to improve all preparedness programs. To communicate within the community and with the greater county, the Cape Meares community uses several tools. MailChimp, an internet-based application program, is used to disseminate alerts and information through email. Nextdoor is a social media application program that provides a forum for members to interact with each other online and alert each other to upcoming events. Given the growing awareness of the Cascadia Subduction Zone vulnerability, tourists to the Oregon Coast need evidence of escape options to feel comfortable choosing this destination for their families. Owners of rental property have been urged to provide emergency supplies and instructions to their renters. Those residents of Cape Meares who remain here in what effectively will become an island of survivors recognize a responsibility to avoid the kind of shortage of food and supplies that breeds discontent in difficult times. As identified in the Oregon Resilience Plan and the State THIRA, the Oregon Coast is extremely vulnerable to the effects of a Cascadia Subduction Zone event, due to our proximity to the epicenter of the earthquake, exposure to inundation by tsunami, vulnerable transportation links (one main north-south road with many bridges), and a population which more than doubles during summer months. Cape Meares is a small coastal village about eight miles west of Tillamook, Oregon on the south side of Tillamook Bay. There are approximately 212 homes with around 90 full time residents. The rest of the homes are vacation properties and a handful of rental properties. All the homes in Cape Meares are within a mile of the Pacific Ocean. The community of Cape Meares is served by the Tillamook Fire District which has a small substation located on 8th Street in Cape Meares. The station houses a small brush engine which has a capacity of 300 gallons of water and a tender with a capacity of 1000 gallons of water. There are currently five volunteer firefighters who live in the community. These firefighters are qualified to operate the apparatus in Cape Meares and in addition to training in firefighting, they are also trained in CPR and First Aid. There is only one road leading in and out of Cape Meares, it is prone to landslides, and will certainly be washed out with a tsunami. There is an extensive rapidly moving landslide to the south which prohibits egress by foot even now, but after the earthquake it will be too hazardous to attempt crossing. To the west is the Pacific Ocean which has already swallowed three streets of the village, and to the east is a mountain with trails of various shapes and unknown conditions requiring more than amateur skills to traverse. Because of the geography, few high ground places in Cape Meares have cell phone reception, even in the best of times. Cape Meares has a micro-climate of very high winds, quickly changing weather systems, and a rippling of gullies, crevasses, and shifting creeks. The water supply can be cut off by sliding ground pipes when land moves. While the Cascadia Subduction Zone Earthquake presents a “worst case scenario,” the closure Highway 101 in Nehalem due to flooding is a more common occurrence. This almost-annual event isolates the Manzanita and Nehalem areas from the rest of Tillamook County, which occurred during the most recent flood in December of 2015. The community understands the importance of self-sufficiency and is working to ensure their resilience and ability to care for their own for a protracted period of time. The windstorm and flood 2007 was a weather event that had a profound effect on residents living in Cape Meares. At the time of the storm there were two access roads used to provide an egress from the community to Tillamook, Oregon which is six miles away. Because of the heavy winds that were measured in excess of 100 miles per hour at several nearby locations and because of the great amount of rainfall, both of the roads were not accessible and residents were cut-off for several days by a landslide blocking Bayocean Road, one of the access roads, and downed trees blocking the other road. Power and phone service were unavailable for almost a week. Fortunately, there were no emergencies requiring fire or medical services, and the cooperation of neighbors solved most other problems. Less than 10 years later two winter storms in December of 2015 produced a similar result to what occurred in 2007. During the more recent storm, the single road that exists for accessing Tillamook was blocked for three days by seven landslides that had occurred plus there was a major wash-out of a culvert under the road that prevented any traffic in or out of Cape Meares. The second road that had been available for egress from the community has been unavailable for travel because of significant landslide activity, and has been closed by Tillamook County Public Works several years ago. During the recent storm when Cape Meares was cut-off from food, fuel, and other critical supplies, travel was permitted for only emergency vehicles that involved one-lane roads through a private forest and through other private land. No other vehicles were permitted on the roads. Fortunately, there was only a temporary loss of electrical power so those residents who depended upon electric furnaces were able to keep in their homes and remain warm. Some of the residents ran out of food and there was a need to share food for those who had a short supply. In addition to roads that are either closed or impassable, residents had to deal with a danger of landslides. Because of the very heavy rainfall during a two-week period, with a one-day accumulation of nearly seven inches of precipitation, there was a threat caused by the sloughing off of large chunks of land in the canyons located south of the community. The Cape Meares Community Association hired a hydrologist who also had training as a geologist to offer advice to residents regarding the necessary steps that should be taken to safeguard personal lives and property of residents. The very heavy rains caused the pooling of water behind blocked culverts in the regions above the community. One of the major pools of water had tens of thousands of gallons that were threatening to break loose and flood the community below. So far the community survived the latest onslaught of weather. The latest event has underscored for everyone the importance of emergency preparedness. While this matter is a high priority for some of the residents it is not for all or as many as should be prepared should another serious winter storm event occur. The two major winter storms in a 10-year period, both of which have been classified as “50-year events,” suggest to us that our emergency preparations must clearly be tuned into what needs to be done to not only be prepared for such future events but also know how to best respond. Winter storms are not the only major threat for the community. Since Cape Meares is located on the Pacific Coast and only about 60 miles from the major Cascadia Subduction Fault, there is clearly a threat for an earthquake and a tsunami. The Cascadia fault has produced enormous earthquakes over the centuries. It is not a question of “if” there will be another significant earthquake and tsunami but “when” it will occur. The experts who study quakes have advised residents living along the Pacific Coast that another earthquake event could occur at any time with the power equal to the major quake that Japan experienced in 2011. Residents of Cape Meares have made efforts to prepare for a Cascadia Subduction Zone Earthquake. They have taken into account a number of factors that suggest the community will be among the very most vulnerable villages on the Oregon Coast. Estimates from county and state planners indicate that Cape Meares, because of its location on a peninsula, its small population, its lack of high priority commercial and civil facilities, and the difficulties of access due to unstable land conditions under even normal circumstances will be without any outside services for many weeks and some essential services will not be restored for many months. Most of our residents of Cape Meares are over 60 years of age, an added level of vulnerability; most find it difficult or impossible to run uphill to safety following a quake. Many residents rely on a number of specific medications and have dietary restrictions. Most significant, 70% of our residences of the community are in the inundation zone where either serious damage or complete destruction of residences would be common following a major earthquake . Cape Meares sits at the bottom of an active landslide. Crevasses in the landscape make it extremely difficult to traverse high ground from east to west without first going down to sea level . Thus, residents will not only be isolated from Tillamook but will also be isolated from neighbors who live one or two blocks east or west of five designated Tsunami Assembly Areas . In spite of all the dangers associated with Cape Meares it is a very special home for about 90 residents that consider their homes to be their permanent residences. There are currently over 200 homes in the community with many of them being vacation homes and about 35 being homes that are vacation rentals. During the summer months the community is bustling with much activity and for the special weekends like Memorial Day, July 4, and Labor Day. It is estimated that the population of Cape Meares may swell to 400 or more than four times the community population. 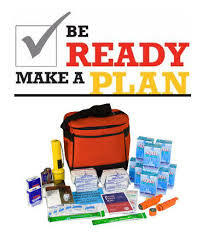 For the aforementioned reasons it is imperative the community plan for sustainable supplies to be kept at multiple locations so that those who manage to reach safety will be able to remain there until more hearty emergency helpers are able to assist. Because of these vulnerabilities, our communities need to be able to immediately: evacuate our population to safe assembly sites; shelter displaced individuals and pets; provide needed basic medical services; and, to communicate with each other when communication infrastructure has been destroyed. On March 24, 2012, residents participated in drilling for the large locally generated earthquake and tsunami. The coastal communities of Cape Meares, Oceanside, and Netarts held a voluntary Tsunami Evacuation Drill. In Cape Meares 155 persons arrived at the five assembly points. That number represents all of our full-time population plus 70 visitors and guests. In 2014 an Emergency Preparedness Committee was formed that reported to the Cape Meares Community Association a plan that was believed to be a thoughtful and necessary response to a Cascadia Subduction earthquake event. The Emergency Preparedness Committee first conducted a needs assessment. It was determined that following an earthquake event emergency supplies, including food, water, and other assorted items need to be located at four of the DOGAMI-approved Temporary Assembly Points in the community. Furthermore, the belief was that there would be sufficient supplies to serve up to 200 unprepared evacuees. The reason for having separate storage structures at the assembly points was due to the impossibility in Cape Meres of crossing water and brush-choked ravines in an East-West direction. It was further believed that the long-term plan was to include a larger American Red Cross approved shelter and storage structure at a location yet to be approved. As part of Phase 2, the plan was to identify a possible funding source to build the first of the storage facilities. A successful grant proposal from the Tillamook People’s Utility District (Tillamook PUD) the first of the four planned storage structures. The project was completed in December of 2015 with over 300 hours of volunteer labor from community residents. The current gap analysis is for three additional storage buildings. This project will further enhance our preparedness efforts and improve our core capabilities identified in the 2014 THIRA in both Community Resilience (13) and Mass Care Services (21). 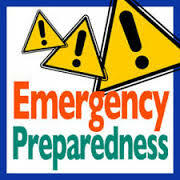 The Emergency Preparedness Committee has collaborated with local, regional, County and State partners on how to best serve the community and provide some very basic mass care services in the event of a catastrophic event such as Cascadia Subduction Zone event. The first part of this project is designed to quickly resolve the gap identified in assembly site storage and basic mass care services. To close this gap, install storage buildings at three additional assembly sites. The SHSP project would fund the purchase and installation of three storage buildings to provide adequate storage of supplies purchased with local funds to support mass care at each the designated assembly sites. The project takes advantage of the area’s natural topography, which includes relatively short distances to safe locations outside the tsunami inundation zone. This project builds on the work already done locally to prepare assembly sites. The sites are all located on County property. This approach involves no major capital works, no intrusion on the environment and the pristine beauty of this rural area, and is considered to be the least cost solution. The second part of this project is designed to produce the Cape Meares Emergency Response Plan to fulfill the need for improving the preparedness activities of this community. The plan would include a blueprint for future preparedness activities in this vulnerable coastal community. Part A of the project will begin to close the gap in storage capacity by placing storage buildings at three designated to store items that are essential to provide mass care for an extended period of time. Part B of the project will provide expert planning for emergency preparedness Cape Meares. The proposed planning project would close the significant gap by providing expert consultation to provide a plan which will be needed to support our population, both local and visitors, after a catastrophic event. One Emergency Response Plan including: Facilitation of one focused, functional exercise to test efficacy of the FOG. Phase 2A of this project will provide three storage buildings to securely store emergency preparedness supplies for both community residents and visitors. Each building will be placed at a designated assembly site and will require minimal site preparation with the installation. Phase 2B will result in a comprehensive plan incorporating expert advice that will define the community’s response to a catastrophic events including a Cascadia Subduction Zone earthquake and tsunami. Capabilities that will be created or enhanced by the project. The storage buildings will be located at designated assembly sites and will provide secure storage for survival equipment following a catastrophic event. This outcome will enhance the region’s ability to securely store items that are essential for effective mass sheltering after a catastrophic event. It leverages the community’s investment in supplies and equipment and will ensure their safe keeping. The Cape Meares Emergency Response Plan will provide a blueprint of a comprehensive community approach to emergency preparedness that is specific to the Cape Meares community. It will provide a detailed roadmap for creating a community that is self-sufficient, self-reliant and resilient. The plan will utilize an “all-hazards” approach to preparedness. It will also address the creation of an emergency volunteer corps that is responsible for community preparedness, response and recovery for catastrophic events. 1 Research options for purchase of storage buildings.